Thank you Carina, for letting us have your beloved boy with us for some months in order to use him for our E-Litter. It was such a pleasure! He came to our house after a long journey all the way from Sweden and behaved perfectly from the first second (as long as no one left food unattended 🙂 ). 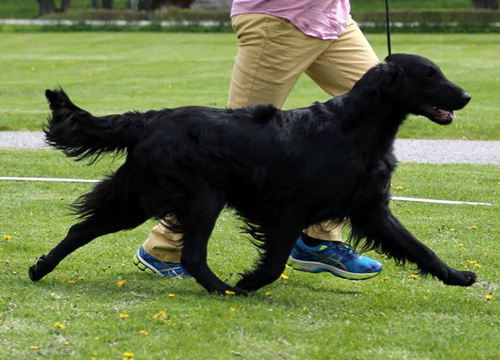 Bolt is a typical Flatcoat in every way. I love his beaufiful temperament – he is so kind and friendly with every other animal – and his overall elegance in combination with his strength of bone. He moves like a dream. Sheena gave birth to Funstuff E-Litter on 4th of december 2015.